Pinterest is the world’s catalog of ideas. With Pinterest, users can find and save recipes, parenting hacks, style inspiration, and other ideas. 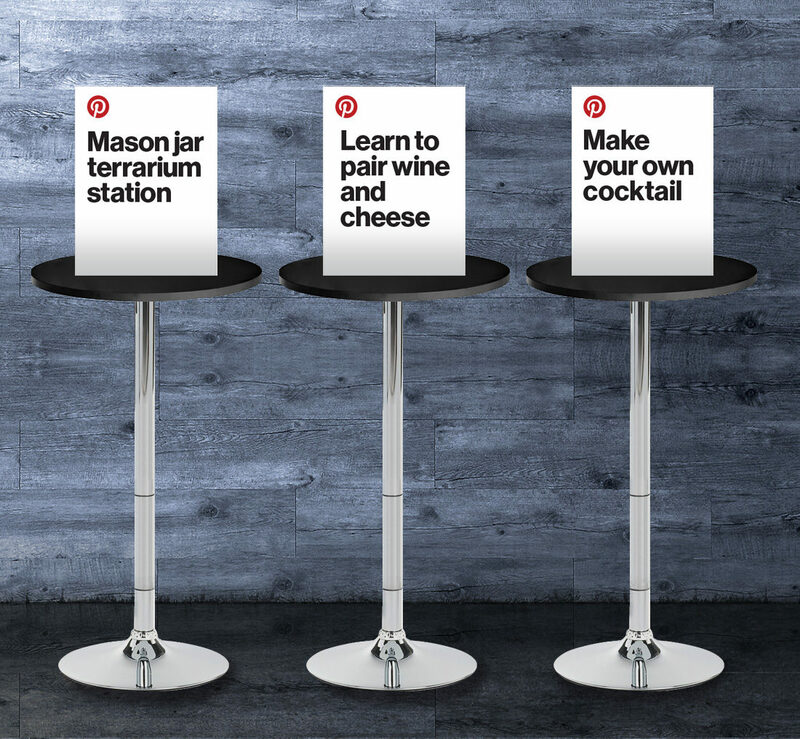 Percolate created large-scale wall-mounted and free-standing pinboards that allow individual pins to hang on display for Pinterest events.